“The Fates” follows society’s search for immortality. The exploration of what each of us would sacrifice if it meant that we could live forever. Changing societal values and reducing the importance of community has resulted in a society that continues to put the needs of the individual first. 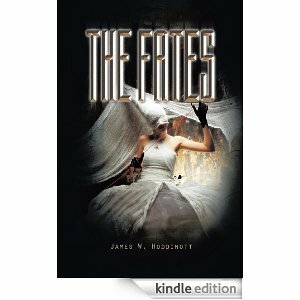 The Fates explores a society made up of those that put their needs ahead of all others versus those that believe the spiritual self is the destiny of all humans. The conflict in a society and each individual that devalues the basic human characteristics that make each of us unique manifests itself in some devastating outcomes. Lucina had always enjoyed coming to this island as a young girl with her family. Every summer with her parents they would make the two-hour drive north from Winnipeg to the wondrous natural gifts of Hecla Provincial Park. They would spend two weeks camping and enjoying the miracles of nature. The sandy beaches, the abundant wildlife—from the majestic moose to the magnificent pelican whose extensive wing span awed her as she watched the birds and the Icelandic fisherman in their enormous boats search for the bountiful whitefish, pickerel and jackfish that filled the chilly waters of Lake Winnipeg. She was sure the pelicans always caught more fish than the fishermen in their boats did but it was not a competition. The two great fishermen of the region lived together in harmony helping each other take advantage of Mother Nature’s bounty. Michelle and her parents would walk out to the lighthouse that guarded the rocky shores from wayward sailors during a storm. From the lighthouse at the edge of the town of Hecla they could just make out the outline of Black Island against the horizon. Her father told her of the soft beaches filled with Silica Sand and of the spiritual gifts Black Island possessed. Every year the Anishinaabe would return to Black Island to celebrate their life and thank the spirits for each of their gifts. The Anishinaabe believed this island was a gateway to the spirit world. Black Island was the place where they could seek guidance for their people. Michelle had begged her father to take her to Black Island. Finally in the summer before she went to University he did. An Icelandic fisherman named Thor Johansson took them to the island in an imposing wooden York boat. The boat was similar to the ones the Selkirk settlers used when they made their journey from Hudson Bay down the Nelson River to what they thought must have been another ocean upon reaching the mouth of Lake Winnipeg. The shallowness and changeable nature of Lake Winnipeg made its waters very treacherous and unforgiving to the untrained seaman. Her father told her of the many dead sailors who had not respected the power of the water. As they made their way to Black Island the weather as it often did in this waterside community took an unexpected turn. The wind that had remained silent found her voice. The once quiet wind now shouted at the three souls in what once appeared to Michelle to be a huge ship—but now seemed no more than a row boat as the waves rocked them relentlessly. Michelle overheard Thor tell her father it was too late to turn back and they would need to spend the night on Black Island—if they were lucky enough to reach it. The waves continued to slam against the sides of the boat spraying the three mortals who were squeezing onto the wooden sides of the boat. Michelle remembers feeling powerless as Thor and her father fought hard to keep the boat upright. Tears streamed down her face as for the first time in her life she realized humans die. The thought of no longing being alive terrified her. For when she stared death in the face, she only saw darkness. When the boat crashed onto the shore of Black Island Michelle felt as if she had been pulled out of the grasp of death. She crawled out of the boat, body drenched and shivering, bent down, kissed the ground and burst into tears. Feeling the soft silica sand beneath her feet brought comfort to her. Looking up and the vision of beautiful red pines found on Black Island confirmed her eyes could still see, confirmed to her that life was far better than death. She scanned the terrain of this beautiful island as the rain pelted down on her and felt heaven could not even match this island’s splendor. Her mother, a devout Catholic, had tried to tell her there was a heaven. Michelle made an oath on the Beach of Black Island that day that she would return one day before she died to give thanks to the island that pulled her away from the hands of death at such a young age. When Michelle met Dr. Fairholm in the boardroom at Harvard she had long since completed her studies at University. She had left her home country of Canada to practice medicine in the lucrative American marketplace. Michelle had become a world-renowned gynecologist. She had brought thousands of children into the world and despite being witness to the greatest miracle of life, she like her father, was an atheist. The fear of death consumed her. Michelle lived every day to the fullest—afraid it would be her last. She tried to immortalize herself through her work, through the advances she made in medicine. This fear of death allowed her no solace, which her greatest achievements should have brought her. When Dr. Fairholm talked of immortality she wanted to jump out of her black leather chair and kiss his feet. Here at last was a man that could finally allow her to rest. Here was a man who at last would take away her agonizing, often paralyzing fear of death. Her mother’s religion did not help. The psychiatrist she went to every Tuesday for ten years did not help her. Then when her father and mother were suddenly killed in a blizzard one cold wintry night just outside of Winnipeg her fear of death and its finality was confirmed. As she stared at her parents’ blank faces glaring up at her from their coffins she saw no light, no evidence of a God her mother made her pray to every Sunday. Besides what God would allow her parents to be taken from her? What kind of God would allow the suffering of man to continue on earth? When the priest read her Catholic mother the last rites she did not see the hand of God welcome his God-Fearing subject into his kingdom. Where was her mother’s ascent into heaven? Instead when she watched their coffins get lowered into the frozen, dark earth ground she only saw what she did on the icy waters of Lake Winnipeg when she faced death—darkness. Listening to Dr. Fairholm speak in the boardroom at Harvard she had a difficult time hearing him as the haunting sounds of the frozen chunks of earth echoed throughout the still winter air as it slammed onto her parents coffins pounded through every cranny in her brain. She did hear the one word she needed in order to decide—immortality. When the word immortality was spoken, all the other words did not matter. All the consequences yet to come did not matter, what mattered was that she would never feel the earth upon her face. She would not hear the sounds of the ground pound against her coffin. She would never prey to a God that let her parents die. That took her parents away from her. TO PURCHASE THE E-BOOK CLICK ON THE IMAGE ABOVE. McNally-Robinson will be hosting a book launch of ‘The Fates’ on Wednesday, June 4th, 2014. Come out and meet the author and get your hardcover or paperback signed copy.